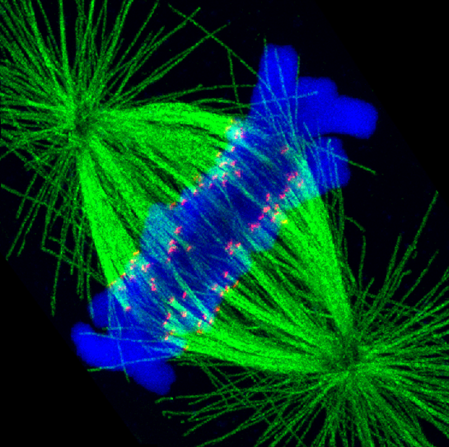 Cellular biologists work at a frustratingly small scale. Like their colleagues in particle physics, these scientists investigate fundamental questions about our lives and our world—but at a scale beyond the skill of our primate eyes. Microscopes have helped bring this erstwhile invisible world into focus—and over the past several centuries since their invention, advances in microscopy have helped scientists visualize many details of life on the cellular level. But these approaches have costs—expensive equipment and complex specimen treatments—that ultimately restrict their widespread use. Microscopy also has its limit. Light's inherent wavelike behavior limits any microscope's resolving power. The most minute details of our existence—from twisted strands of DNA to bulbous cellular organelles—are difficult or impossible for even the best and most expensive microscopes to visualize directly. But scientists from the University of Washington recently reported a relatively simple method that would allow ordinary laboratory microscopes to illuminate many of these cellular structures quickly and efficiently. They did not modify microscopes to boost resolution. Instead, they used an approach to swell the tiny, complex structures within cells, bringing them within range of a microscope's existing resolving range. "This is a radically new way of doing microscopy," said UW chemistry professor Joshua Vaughan, who is senior author on a paper detailing their approach in Nature Methods. "The focus had largely been on hardware—improving the resolution of microscopes. Here, we expand the cell's interior to bring it into view." "This is a simple and robust approach that is surprisingly effective," added Vaughan. His team was inspired by the expansion approach developed at the Massachusetts Institute of Technology. The MIT researchers stained cells with a complex, DNA-based fluorescent probe that would make cellular contents visible. They then treated cells with an expandable polymer that linked to the custom probes and would "inflate" the specimens to as much as four times their original size. But, this approach was laborious, and required specialized, expensive reagents. "When I saw their approach, I thought it was amazing," said Vaughan. "But we were wondering if there was a way to do this using simpler staining strategies and conventional probes. 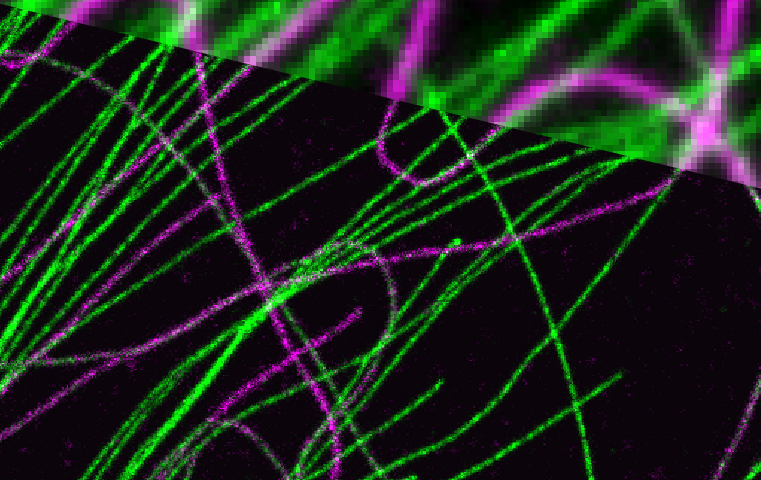 That would make expansion microscopy accessible to thousands of labs." Instead of complex fluorescent probes, Vaughan's team turned to conventional fluorescent dyes bound to antibodies, which are easier to use, and developed a simple chemical treatment that would allow the antibodies to become linked to the polymer. They then treated their stained samples—slices of mammalian brain tissue and cultured cells—with the expandable polymer as well as enzymes that could create small "snips" in proteins to help them expand. They used this basic approach to come up with two staining protocols for expansion microscopy—one that worked better for individual cells and another for slices of tissue. Under the microscope, their images showed substantially brighter stains while maintaining excellent resolution. As an added bonus, their approach also enables expansion microscopy with fluorescent proteins, another popular fluorescent probe used by biologists. Critically, the UW team was able to obtain these high-resolution images on conventional, widely used laboratory microscopes. "We think this will make expansion microscopy a widely used technique for researchers who want to visualize what they're studying with a relatively simple, low-cost approach that also has excellent performance," said Vaughan. Vaughan said he hopes that other research groups will modify his team's basic approach for other organisms or cell types, especially structures like cell walls that would resist expansion. Given the details illuminated by expansion microscopy, a hidden world awaits.